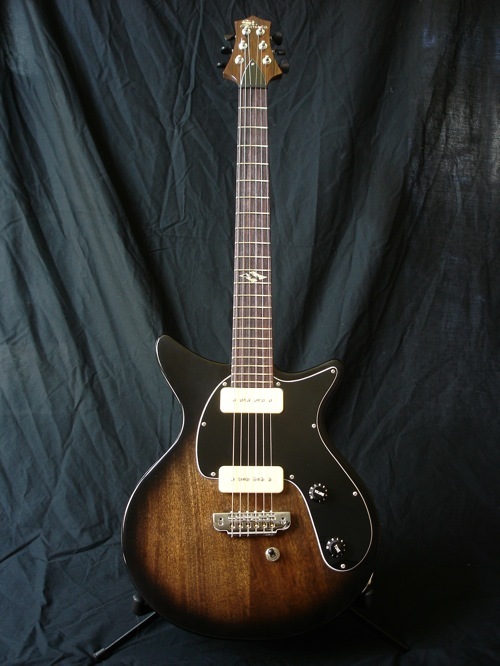 A few days ago, I announced the new Vintage Series model from Saint Guitar Company. At the time, Adam sent me pictures, but few details, so there wasn’t much to report on. However, I’ve since spoken with Adam, and was able to get some juicy details on this guitar and his vision for the Vintage Series. 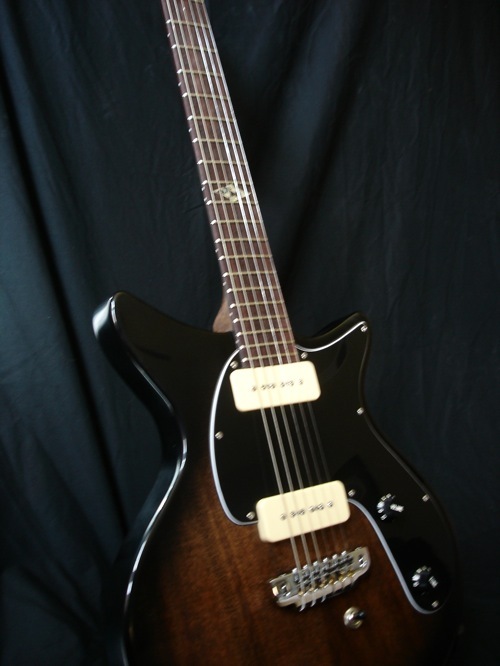 This first guitar sports a solid mahogany body and neck. 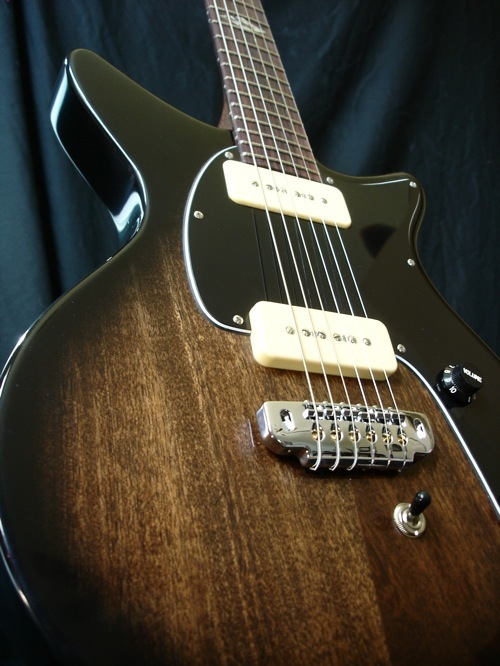 The pickups are Seymour Duncan Vintage p-90 Soapbars. Rosewood fretboard with Saint Logo on the 12th fret. 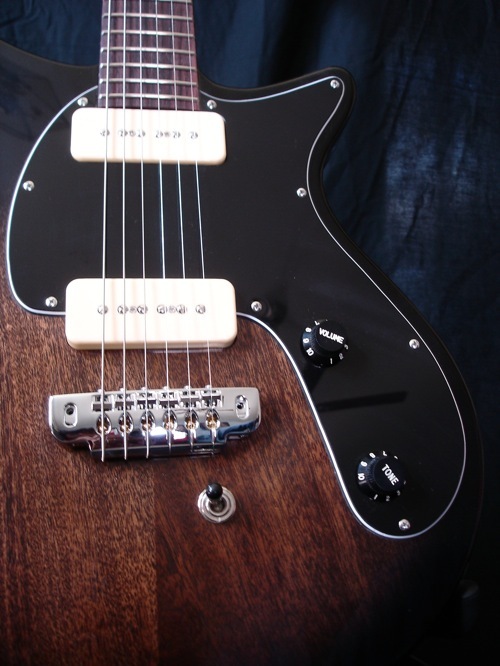 Volume and Tone knobs, and a Three-way pickup selector switch. Since I already have a Saint Guitar, I know this will be special. I should be getting a test drive of this baby in the next few weeks. I’ll keep you posted! This announcement is so new that Saint Guitar Company hasn’t even put it up on their web site! I first caught wind of this new series a few months ago when Adam mentioned to me in a conversation that he was starting to work on a new style of guitar. 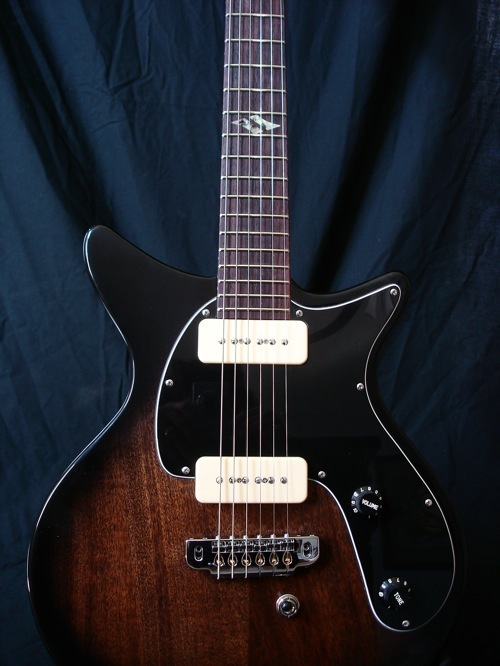 This new series was to be a mild departure from the modern rock-inspired designs he has been building for the past several years, and roll time back just a bit to create what he was coining his new “Vintage” series, which would be chambered, have retro styling, and employ P-90 pickups. I don’t have any final build details as of yet, but his first in the series sure looks fantastic. Here are some pictures for your enjoyment! I can’t wait to do an evaluation on one of these. It’s really exciting! I love the body style on this, with the less pronounced horns, and rounder lower bout, and I dig that flat top! Very cool!